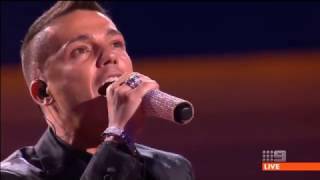 Anthony Callea is undoubtedly one of Australia’s finest vocalists and performers. The Aria Award winner has undeniably one of this country’s most powerful, passionate and pure voices. His debut single The Prayer became Australia’s fastest and highest selling single of all time with sales in excess of 4 x platinum and was at the top of the charts for an amazing 5 weeks. Anthony followed his debut single with another multi-platinum number 1 single, Rain/Bridge Over Troubled Water and a self-titled multi-platinum number 1 selling album. Another two top 10 hits came off this debut album with Hurts so Bad and Per Sempre. His sophomore album A New Chapter was accredited Gold and featured two top 20 singles with Live for Love and Addicted To You. 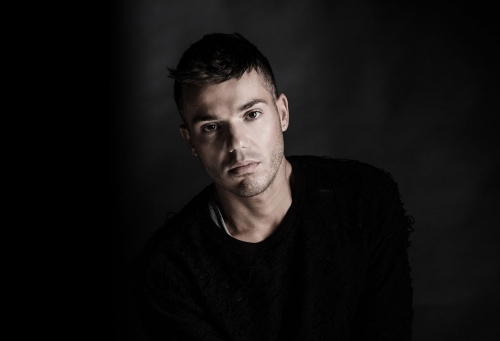 Anthony released Anthony Callea Live in Concert DVD, which debuted at No 3 on the Aria DVD Charts, sold Platinum and later screened as a television music special on Foxtel. The Album THIRTY, which debuted in the Top 20 on the Aria Album Charts includes both covers and original compositions penned by Anthony, and celebrates thirty years of the most beautifully written music to coincide with Anthony’s 30th birthday. The same year the anticipated album This Is Christmas was released. The album features 12 songs that Anthony has performed live over the years at Carols By Candlelight recorded with a 55 piece orchestra, The National Boys Choir, featuring a duet with Tim Campbell and produced by the one and only John Foreman. Taking to the stage for what was meant to be a one off performance celebrating the music of George Michael, Ladies & Gentlemen, The Songs of George Michael became a sell-out National Tour kicking off in Perth. To coincide with this tour, Anthony released this concert experience on DVD that was filmed at the Palms at Crown which went on to debut at No 1 on the Aria DVD charts and showcased as an exclusive TV special on Foxtel. Along with headlining his own national tours, Anthony has toured with Celine Dion, Diana Ross, Whitney Houston, Mariah Carey, Westlife and was hand picked to perform for Luciano Pavarotti, Her Majesty Queen Elizabeth II and the Duke of Edinburgh, Prince Frederik and Princess Mary of Denmark. Anthony has also toured and performed with Tina Arena and was invited to perform at the Prime Ministers Olympian Dinner to celebrate our Australian Olympic team before they headed off for the London Olympic Games. Anthony has accumulated a string of awards including an Aria Award along with 3 further Aria nominations, Channel V Artist of the Year, Pop Republic Artist of the Year, MTV Viewers’ Choice Award, Variety’s Young Entertainer of the Year, MO Award, Dolly Teen Choice Award and a Gospel Music Award. His career has taken him to the stage where he has starred in musical productions such as Wicked, Dead Man Walking, Rent and Grease. MC or Host, Anthony is also a dynamic vocalist and one of the country’s most consistent, in demand and much loved performers. Anthony can deliver any length of Feature Performance from the National Anthem for a sporting event, intimately with 3 musicians for up to 30 minutes or full band for up to 60 minutes. Anthony is also available for full length performances of 2 x 50 minute sets with interval.